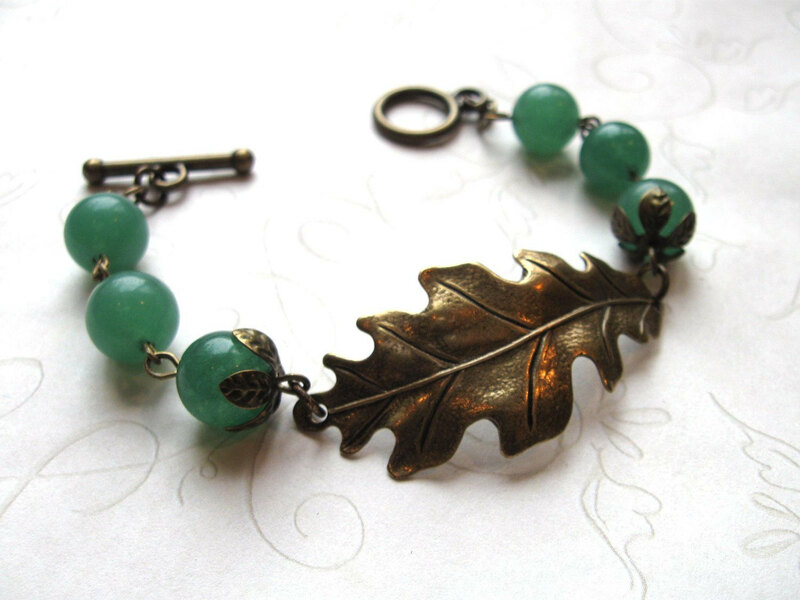 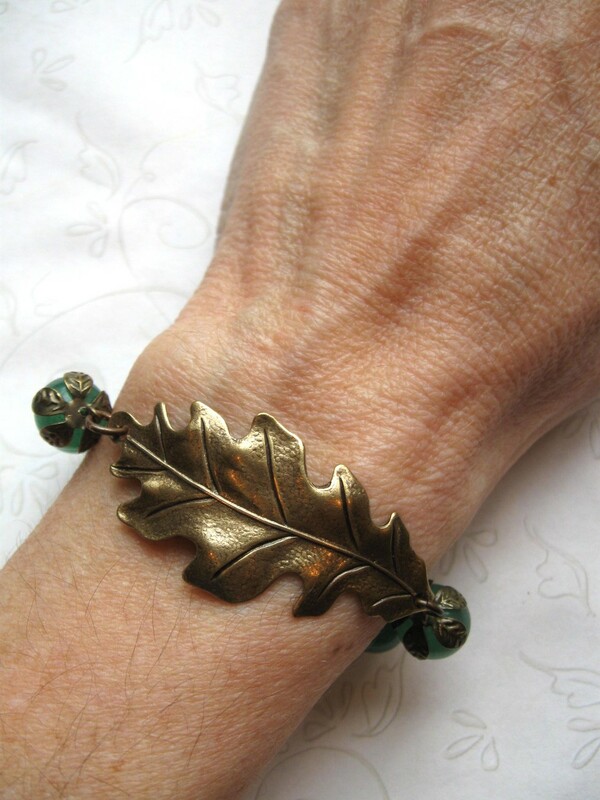 Here is a beautiful bracelet, featuring a large, nicely detailed brass oak leaf, along with six green adventurine stone beads. 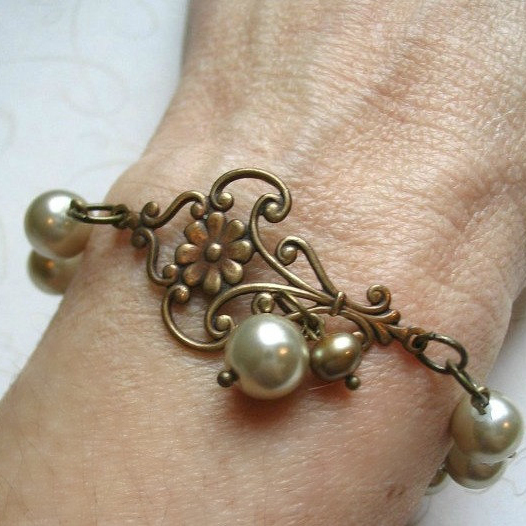 This bracelet comes with a brass toggle style clasp, please note toggle style may vary slightly. This bracelet comes in a lovely gift box!